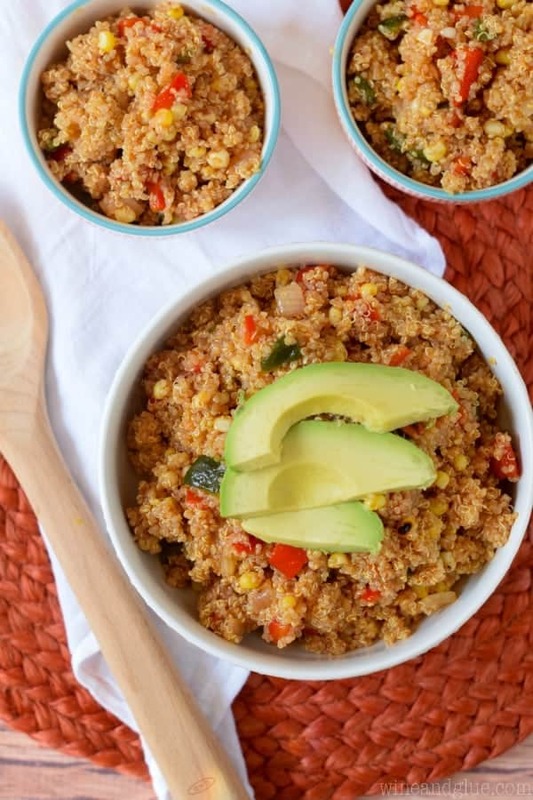 These Grilled Vegetable Southwestern Quinoa Bowls are so jam packed with flavor! 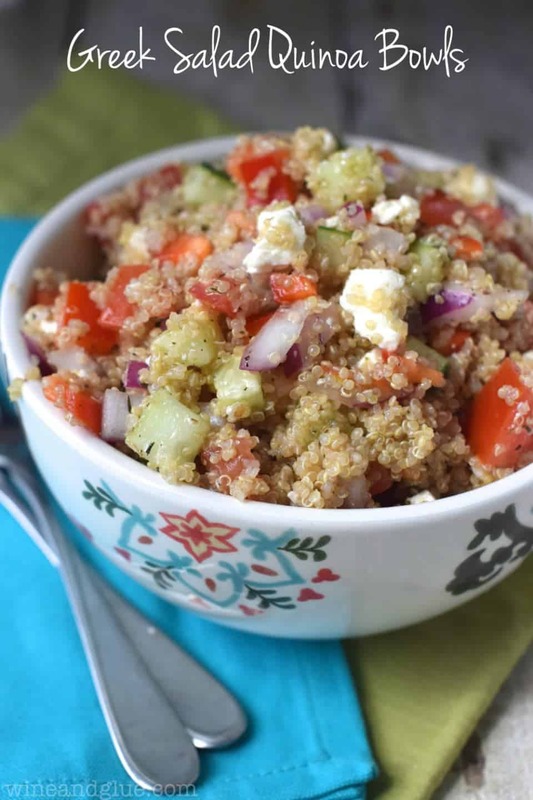 This is going to be your new favorite salad! So the other day we had gone to a little park in the middle of no where. The kids had a great time and when we were leaving we were thinking we would see if there were any fun restaurants in their downtown to have dinner at. We’re driving along and hit the end of the downtown about three seconds after we started driving in it. So we decided to make a U-turn and go back home. My husband’s super fine driving made it so that the U-turn wasn’t super pretty. And all of the sudden we notice that there is a police car right behind us . . . watching the whole thing. Nathan makes some quiet off handed comment to me about not wanting to get pulled over. Ummm . . . . . my four year old’s gut reaction is to RUN from the cops. Methinks this is not a good thing. As a side note, I really think that I need to do a monthly series of Quinn quotes. Because, honestly, she is freaking hilarious. I mean, terrifying as her mom, but also hilarious. Let’s talk about something I feel more confident in (i.e. 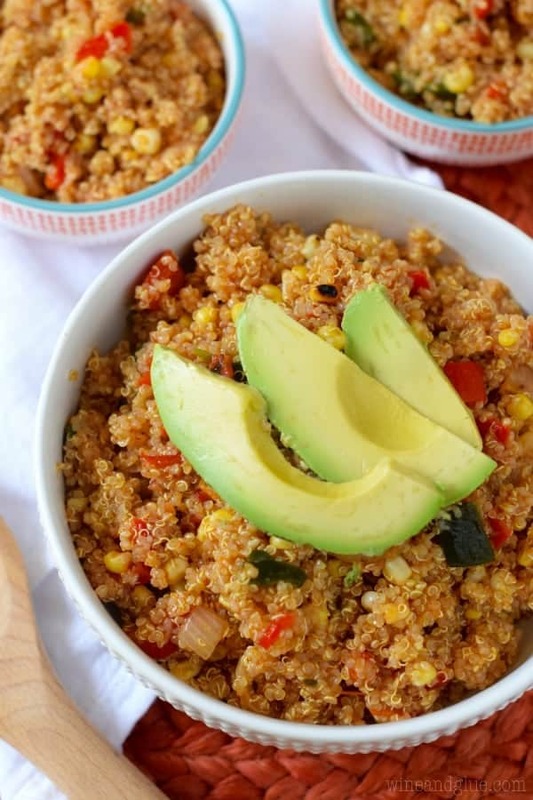 not my four year old wanting to run from the law), this Grilled Vegetable Southwestern Quinoa Bowl! You guys!! This is seriously an amazing dish! I ate way too much of this by myself. It was one of those dishes that was like take a picture, take a bite, take a picture, take a bite. The smokiness of the grilled veggies pairs so perfectly with the chipotle peppers in the adobo sauce that make up the dressing. Also, I for sure need to cook more with poblano peppers! They have such a deliciously smoky spice to them! With the heat of your grill on medium (see note) cook the veggies. The husks of the corn should be removed so they can char slightly. The onions should be sliced and then placed on the grill with the rings of each slice still together. Flip all the veggies after about five minutes. Cook everything but the red pepper for 10 minutes total, and keep the red pepper on there for about 15 minutes, flipping several times so each side gets well cooked. Once the veggies have slightly cooled, cut the corn from the cob, dice the onions, peel the skin from the peppers and dice them. Add all the veggies to a large bowl. In a blender combine the olive oil, vinegar, chipotle peppers, adobo sauce, salt, and garlic. 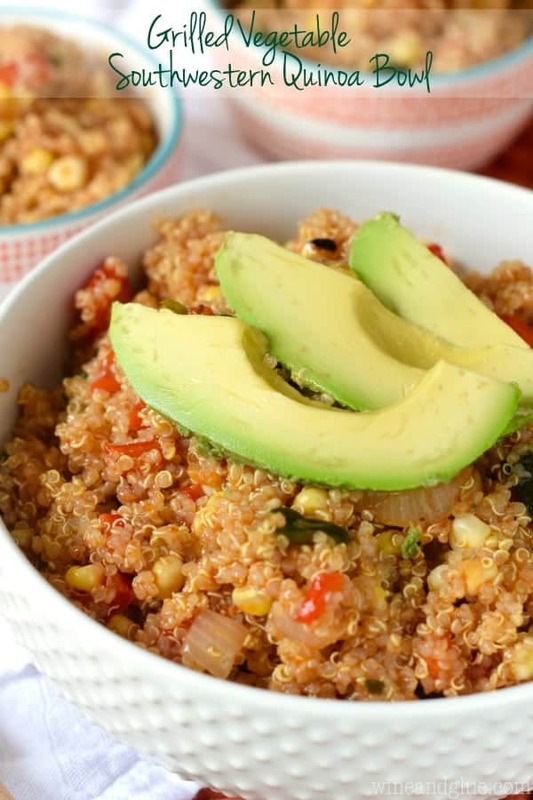 Combine the quinoa and the veggies together. Chill for at least 2 hours. Before serving, pour about 2/3 of the dressing over the salad and add more spoonfuls as necessary to taste. One small can of chipotle peppers in adobo sauce make the world of difference for this recipe. Pull two peppers from the can and then get out 2 TBSPs of the sauce to add to the dressing. This recipe can definitely be made in non-grilling season. Simply dice all the veggies and sauté them over medium heat until well cooked.